Baksh, Goose Lead Way6th All-Canadian Team! First Team Left-Handed starter: Shawn Schaefer (sophomore, Pitt Meadows, BC), of the British Columbia Thunderbirds. Schaefer earned Region 1 All-Region honours and won back-to-back Region 1 pitcher of the week honors. Schaefer was 12-2 with a 1.93 ERA. He walked 21 and struck out 56 in 107 1/3 innings. He made 19 starts. Schaefer pitched the Thunderbirds to a 3-0 win over the Concordia in the opener the Region 1 Tournament at Nat Bailey Stadium, allowing six hits and striking out five to move to 10-1. He beat the Bellevue Bruins 13-11 in the opener of the 50th annual AVISTA NAIA World Series in Lewiston, Id. Schaefer worked six innings for the victory. Schaefer pitched allowed five runs -- three earned -- on six hits and three walks. He struck out four. He earned Honorable Mention honors on the 2005 All-Canadian team pitching for the Midland Chaparrals. Schaefer was Player of the Week in Week 2. Right-handed starter: Dustin Ottens (junior, Maple Ridge, BC), of the Dakota State Trojans. Ottens led all NAIA pitchers with a find-it-if you can earned run average of 1.05. Ottens earned NAIA All-Region III Honors as he went 9-1 with one save. He broke school records for most strikeouts in a season (67) and ERA (1.05), while tying a school record for most complete games pitched (eight), tied a school/career records for most shutouts (two). He also honoured as DAC Pitcher of the Week 2 times this season. Ottens was also named DAC Conference Pitcher of the Year and was named All-Conference First Team. Ottens was named Dakota Conference Pitcher of the Week with a 3-1 win over the Dickinson State Blue Hawks in the DAC Tournament. Reliever: Rob Nalutka (senior, Langley, BC), of the Armstrong Atlantic Pirates. Nalutka pitched 1 2/3 scoreless innings for Armstrong Atlantic State as it snuck past the Francis Marion in the Peach Belt Conference Tournament opener. Nalutka allowed one hit and struck out one. He worked 1 1/3 scoreless innings allowing two hits in a win over Columbus State in the opener of the South Atlantic Regional at Milledgeville, Ga. Nalutka was 4-1 with seven saves and a 1.51 ERA. He walked 13 and struck out 44 in 35 2/3 innings in 26 games. Nalutka earned first-team All-Canadian team honours in 2005. Catcher: Patrick D'Aoust (sophomore, Riviere Beaudette, Que. ), of the Cowley Tigers. D'Aoust earned NJCAA All-Region VI First-Team Honours. D'Aoust hit a pair of home runs for Cowley beat in a 15-5 triumph over Kansas City Blue Devils, was 3-for-5 with three RBIs in a 12-11 win over Johnson Country and had three hits, with a double and a triple, in a 13-3 win over Johnson. He hit 400 with 12 doubles, two triples, eight homers and 47 RBIs. He had one home run as a freshman. First base: Kevin Atkinson (freshman, Surrey, BC), of the New Mexico Thunderbirds. Atkinson enjoyed playing against the El Paso Tejanos. He hit a double, knocked in two runs and stole a base in a 14-9 win; singled, doubled and knocked in three runs in a 12-2 win and tripled, singled and drove in two runs in a 7-6 win against El Paso, Atkinson hit .455 mark with 70 RBIs for defending NJCAA champs. Atkinson had 22 doubles, eight triples and six homers in 55 games. Atkinson was Player of the Week in Week 9. Second baseman: Kevin Mailloux (sophomore, Windsor Ont. ), of the Kellog Bruins. Mailloux was named to the All-Region First Team, All-Michigan Conference First Team, All-Region XII honors and Div. II All-American Team Second Team honors. He Went 3-for-4, with a double, a homer and four RBIs in a 12-2 win over Kalamazoo Valley. He went 2-for-2, with a double, two RBIs and a stolen base against the Olivet Comets JVs; was 3-for-3 with a homer and six RBIs against Olivet JVs; doubled in a 7-6 win over Muskegon; singled and knocked in two runs in a 6-3 victory over Muskegon; was 3-for-3 with a homer and four RBIs in a 13-0 win over Lansing and had two hits, two RBIs and two stolen bases in a 7-1 win over Lansing. ?Mailloux led Kellog with a .475 average. Mailloux had 12 doubles, one homer and 62 RBIs while stealing 14 bases. He earned second-team All-Canadian team honours in 2005. Mailloux was Player of the Week in Week 9. Third base: Mike Gosse (sophomore, Pitt Meadows, BC), of the New Mexico Thunderbirds. Gosse was selected to the All-Region V Team. He was 3-for-4 with a double, triple, homer and four RBIs as New Mexico beat the Frank Phillips Plainsmen 13-7; had three hits and an RBI in a 17-7 win over Frank Phillips; had a pair of hits and drove in two runs in a 13-3 win over the Southwest Mustangs JVs and collected a pair of hits and drove in two runs, in an 18-8 win over Southwest. Gosse hit .473 driving in 69 runs. Gosse had 24 doubles, seven triples, four homers. He earned first-team All-Canadian team honours at DH in 2005. Shortstop: Steve Condotta (junior, Mississauga, Ont. ), of the Florida Tech Panthers. Condotta tripled and knocked in a run in a 7-5 win over Eckerd. Condotta doubled, singled and knocked in three runs in a 24-0 win over Eckerd. Condotta doubled in a 8-3 triumph against St. Thomas Aquinas. Condotta went 3-for-4 with a pair of doubles in a 17-4 win. ?Condotta batted .377 with 12 doubles, three triples, four homers and 29 RBIs in 42 games. He earned All-Canadian team honourable mention honours in 2005. Outfielders (tie): Jonathan Baksh (junior, Mississauga, Ont. ), of the Florida Tech Panthers; Tim Smith (sophomore, Toronto, Ont. ), of the Midland Chaparrals; Chris Emanuele (senior, Mississauga, Ont. ), the Northeastern Huskies and Nicolas Boisvert (junior, Laval, Que. ), of the Lynn Fighting Knights. Baksh earned Division II Rawlings/American Coaches Association Second Team All-American. He was First Team All-Sunshine State Conference and First Team All South Region in 2005 and 2006, and was named the 2005 SSC Baseball Player of the Year. Baksh won the conference batting title with a .469 average. ?Baksh finished his junior campaign fifth in the nation in Division II for hitting. He finished the season with 100 hits, 21 doubles, four triples, nine homeruns, a .732 slugging percentage and 18 stolen bases. Baksh earned All-Canadian first team honours in 2005 and honourable mention in 2004. ?He was Player of the Week in Week 1. Smith was selected to the All-Region V Team. Smith had three hits, including a homer and three RBIs as Midland beat the Clarendon Bulldogs 10-6.; had two hits in a 13-11 loss to Clarendon, had two hits, knocking in three runs in a 25-14 win against Clarendon 25-14 and produced three hits, including a double and a homer, knocking in three runs in a 28-10 victory against Clarendon. He hit .450 with 22 doubles, four triples, five homers and 59 RBIs in 52 games. Smith earned All-Canadian first team honours in 2005. He was Player of the Week in Week 11. Emanuele put himself into the Northeastern record book in a 3-2 loss to the Hofstra Pride when he hit an 0-2 pitch with two out in the bottom of the ninth for a base knock. It was the 216th in four seasons at Northeastern breaking the record held by former Huskies INF Kevin Kim (High Park, Ont.). ?He hit .313 with 19 doubles, two triples, nine homers and 35 RBIs in 50 games. Emanuele earned All-Canadian second team honours in 2005 and second team honours in 2002. ?He was Player of the Week in Week 5. Boisvert was named the Fighting Knights' MVP was named to the All-SSC second team and ABCA All-South Region second team. ?He recorded one of the greatest offensive season's in school history by batting .402 with 14 doubles, seven triples, nine home runs, 45 RBIs. He scored 66 runs and stole 33 bases. Boisvet finished with a .642 slugging percentage, a .491 on-base percentage. Boisvert set a program record for hits (92), triples (seven) and fielding percentage in a season and was top-five in the Sunshine State Conference in 12 offensive categories and led the conference in stolen bases. Boisvert earned All-Canadian second team honours in 2005. ?He was Player of the Week in Week 14. DH: Steve Bell-Irving (junior, Vancouver, BC), of the British Columbia Thunderbirds. Bell-Irving tripled, doubled and knocked in two runs in a 9-6 win over Albertson in the NAIA Regional Tournament, singled in a 3-0 win over Concordia and singled to drive in a pair in a 10-1 win over Albertson. He had three hits, including a homer driving in three runs in a 12-1 UBC victory over the Concorida-Oregon; had three hits, including a solo homer in the nitecap, an 8-2 loss and doubled in a run in a 7-0 win against Concordia. Against Eastern Oregon he had two hits in a 4-3 loss was 4-for-4, with an RBI with two stolen bases in a 7-0 win over Eastern Oregon. Bell-Irving hit .379 with 15 doubles, two triples, seven homers and 51 RBIs in 55 games. He earned Honorable Mention honors on the 2005 All-Canadian team. Second Team Left-hander: Graham Campbell (sophomore, Victoria, BC), of the Jamestown Jimmies. Campbell earned NAIA All-Region III Honors. One of Campbell's better games was when he pitched a nine-inning, two-hitter in a 7-0 blanking of North Dakota. Campbell struck out four. Campbell was 9-1 with a 1.22 ERA. He pitched 69 2.3 innings walking 15 and striking out 63 in 74 2/3 inning. He appeared in 11 games, nine of them starts. Campbell ranked second limiting opponents to a .173 average and was seventh in the nation in ERA. Right-hander: Chris Kissock (sophomore, Fruitvale, BC), of the Lewis-Clark State Warriors. Kissock pitched four innings of relief as Lewis-Clark was upset 4-3 by Lubbock Christian; again came out of the bullpen to pitch 1 1/3 innings in an 11-10 win over Embry-Riddle and pitched a complete-game 4-1 win over the British Columbia Thunderbirds 4-1. Kissock threw a 169 pitches in his nine-inning complete game. He allowed one run on six hits and five walks. He fanned eight. In all, Kissock struck out 11 in three games, while walking six in 14 1/3 innings. ?He earned second team honors on the 2005 All-Canadian team as a reliever. He was Player of the Week in Week 18. Reliever: Chris Toneguzzi (junior, Thunder Bay, Ont. ), of the Purdue Boilermakers. Toneguzzi was 4-0 with a 2.10 ERA and five saves. He walked nine and struck out 37 in 30 innings. He allowed seven earned runs on the season -- three in his final outing. ?Toneguzzi gained the win over the Michigan State Spartans by a 4-3 score, pitching a scoreless ninth, striking out a pair. Toneguzzi blew a save giving up a run in the top of the ninth and was the victor as Purdue beat the Illinois State Redbirds. He earned third team honors on the 2005 All-Canadian team. Catcher: Rich Russell (senior, Toronto, Ont. ), of the Marshall Thundering Herd.
? ?Russell hit a first-inning, two-run homer in a 14-10 Marshall loss to the Rice Owls; doubled and knocked in three runs in a 26-6 loss to Rice and singled in a 12-0 loss to Rice. ?He hit .347 with nine doubles, six homers and 34 RBIs in 54 games. He earned honourable mention honours on the 2004 All-Canadian team. First base: Jordan Lennerton (sophomore, Langley, BC), of the El Paso Tejanos. Lennerton was 3-for-3 with a double and four RBIs in a 10-4 El Paso win over the Frank Phillips Plainsmen, he had two doubles and drove in two runs in a 16-10 win, singled in a 10-8 win and doubled in a 9-4 loss to Frank Phillips. ?He hit .416 with 14 doubles, 10 homers and 63 RBIs. Second base: Jared Schweitzer (junior, Sherwood Park, Alta.) of the Kansas Jayhawks. Schweitzer earned All-Big 12 honors as voted on by the league's head coaches. He was named the league's top second baseman after moving over from his first when the regular second baseman was injured. He was 3-for-5 with a homer and a pair of RBIs as Kansas knocked off the Nebraska Cornhuskers 9-7 to win the Phillips 66 Big 12 Tournament. Schweitzer had three hits, including a double and an RBI helping Kansas to a 7-2 win over the Oklahoma Sooners; singled in a run as Kansas toppled the Oklahoma State Cowboys and doubled as Kansas beat the Missouri Tigers. One the season, he hit .369 with 14 doubles, a triple, 11 homers and 41 RBIs in 63 games. Schweitzer earned All-Canadian team second team honours at first base in 2005 and honourable mention in 2004. He was Player of the Week in Week 2.
? ?Third base: Devery Van De Keere (junior, Barrhead, Alta. ), of the Louisiana-Lafayette Ragin Cajuns. Van De Keere was selected Newcomer of the Year for first-year non-freshman players in the state by the Louisiana Sports Writers Association and voted to the All-Louisiana Team. He went 4-for-5, with a triple and an RBI in an 11-0 Ragin' Cajuns win over the Louisiana Monroe Indians, had three hits, including a double and an RBI as the Ragin' Cajuns beat the Texas A&M Corpus Christi Islanders, knocked in a run in a 9-5 win over Corpus Christi and singled and knocked in a run as the Ragin' Cajuns lost 9-3 to the Louisiana Tech Bulldogs. Van De Keere, whose father wore the red and white of Team Canada proudly and successfully, led the Cajuns with a .368 average 41 RBIs, nine home runs and a .582 slugging percentage. He had 22 multiple hit and 11 multiple RBI games and played many positions in the field. Shortstop (tie): David Cooper (sophomore, Edmonton, Alta. ), of the Mount Olive Trojans and Mike Ambrose (senior, St. Thomas, Ont. ), of the Charlotte '49ers. Cooper earned second team honours on the 2006 ABCA Division II All-South Atlantic Region Team, selected by members of the American Baseball Coaches Association. ?He gained All-CVAC first team honours in his first year as a Trojan. ?Cooper, who was named to the All-CVAC Tournament Team. Cooper went 3-for-6 and three RBIs as Mount Olive beat Pfeiffer 15-7, tripled and knocked in a run in a 10-5 win over Erskine, knocked in a pair of runs with a double and stole a base in an 11-5 win against Pfeiffer, was 3-for-6 with two RBIs in a 16-1 romp over the Limestone Saints 1 in the CVAC tourney. ?Cooper hit .396 with 11 doubles, 12 triples, a homer and 33 RBIs in 55 games. ?He ranked second in the nation with 12 triples and among the top 20 nationally with 39 stolen bases and 68 runs scored. He was Player of the Week in Week 12. Ambrose ended his collegiate career by being named to the Atlantic 10 All-Conference First Team. ?Ambrose was also named the Atlantic 10 male Scholar-Athlete of the Year. ?He batted .366 with 16 doubles, six triples, two home runs and 51 RBIs in 55 games. ?The only two-time A-10 Player of the Week in 2006 placed among the top 12 in 12 hitting categories this season, including batting average (fourth), hits (83, second), RBI (fifth), and triples (six, tied for second). Outfielders: Brad McElroy (sophomore, London Ont. ), of the Kellog Bruins; Tyler Williams (senior, Vancouver, BC); of the LSU-Shreveport Pilots; Mike Alati (Woodbridge, Ont. ), of the Niagara Purple Eagles. McElroy earned All-Region XII honors and D2 All-American Team Third Team honors. ?He was named to the All-Michigan Conference First Team. McElroy hit .415 with 12 doubles, four triples, three homers and 46 RBIs, stealing 30 bases. McElroy was 18th in RBIs with 57. He earned All-Canadian team third team honours in 2005. Williams had three hits in a 10-0 win over Belhaven, singled, knocked in a run and stole two bases in an 8-3, Williams singled, knocked in a run and stole a base in a 4-3 win over Northwood, singled and stole a base in an 8-0 win over Northwood. He hit .343 with 15 doubles, three triples, six homers and 42 RBIs in 63 games.
? ?Alati earned his team's offensive MVP honors and was named to the All-MAAC First Team. He finished his final campaign with a .374 average with 16 doubles, a triple, seven homers and 51 RBIs in 53 games. He ranked first on the team with 74 hits and 51 RBIs while finishing tied for the team lead with seven homers. ?Alati's final hit as a Purple Eagle was a double and it was 224 career hit to put him at first on the career record book. ?For his career, the left fielder went .345 at the plate, tied for second on the all-time list, while moving to the No. 1 spot with 224 hits, 156 singles and 331 total bases. He earned honourable mention on the All-Canadian team in 2005. Alati was Player of the Week in Week 13. DH: Matt McGraw (junior, Burlington, Ont. ), of the Maine Black Bears. McGraw earned ESPN The Magazine Academic All-America Second Team honours. McGraw is taking business. ?He went 3-for-5, with a double as Maine beat the Hartford Hawks 20-4, doubled and hit a solo homer in an 11-5 loss to Hartford, doubled and homered in an 8-6 win against Hartford and singled in an 11-3 win over Hartford. ?He was a two-time America East Player of the Week honours. ?McGraw hit .333 with 12 doubles, two triples, five homers and 39 RBIs in 54 games. McGraw was Player of the Week in Week 15. Third Team Left-hander: Jon Hesketh (sophomore, Langley, BC), of the Vernon Chaparrals. Hesketh pitched 6 1/3 innings as the Vernon beat Weatherford 3-1. He allowed seven hits and one run, while walking three and striking out four. ?He had a two-win week as he beat Ranger 9-3 count. Hesketh allowed four runs -- three earned -- in seven innings as he walked one and struck out nine. He beat the Hill Rebels 6-1 allowing an unearned run on three hits and three walks. ?Hesketh was 4-1 with one save and a 1.67 ERA. He walked seven and struck out 62 in 59 1/3 innings. ?At the plate Hesketh hit .318 with five doubles, a triple, seven homers and 27 RBIs. Right-hander (tie): Mike Damchuk (junior, Sarnia, Ont. ), of the Spalding Pelicans and Doug Grant (junior, Vancouver, BC), of the British Columbia Thunderbirds. Damchuk worked pitched a complete-game win as Spalding edged the Montreat Pelicans 3-1 in the opener of the NAIA Region XII Tournament. Damchuk worked 4 2/3 innings allowing two runs on four hits and two walks. He struck out one. He was 9-3 in 14 games, 12 of them starts. He walked 18 and struck out 95 in 94 2/3 innings. Grant beat Concordia-Irvine 13-2 as the T-Birds rolled their way to the NAIA AVISTA World Series. Grant allowed one run on six hit and three walks. ?He was 11-1 with a 3.33 ERA. He issued 16 walks and struck out 49 in 81 innings. Grant made 14 starts. Grant earned honourable mention on the All-Canadian team third team honours in 2005. ?He was Player of the Week in Week 16. Reliever: Andrew LaFleur (sophomore, Ancaster, Ont. ), of the British Columbia Thunderbirds.
? ?LaFleur pitched three scoreless innings in a 7-0 win over Eastern Oregon. He allowed four hits and two walks, as he struck out four. ?He worked four scoreless in a 5-0 triumph over Concordia, allowing two hits and striking out five. LaFleur was 6-0 with a 1.45 ERA and one save. He walked 21 and struck out 35 in 43 1/3 innings. LaFleur made 22 appearances, starting once. Catcher: Joel Collins (sophomore, Richmond Hill, Ont. ), of the South Alabama Jaguars. Collins doubled as South Alabama Jaguars squeezed past the Arkansas State Indians, doubled in a 4-3 win over Arkansas State, singled and knocked in a run in a 14-12 loss to Arkansas State and had a run-scoring single as South Alabama beat the Florida State Seminoles ?Collins hit .299 with 13 doubles, six homers and 32 RBIs in 59 games. Collins started 58 games and threw out 30 runners. He fielded .994 and stole six bags. First base: Jimmy Van Ostrand (senior, North Delta BC), of the Cal Poly San Luis Obispo Mustangs.
? ?Van Ostrand homered twice and knocked in four runs in a 5-4 win over the Washington Huskies, homered twice and drove in six runs as Cal Poly clobbered Washington 18-3 was 3-for-5 and plated a run in a 9-8, 10-innings loss to Washington, doubled in a 6-4 loss to the Dartmouth Big Green and singled twice in a 7-4 win over Dartmouth. He earned honourable mention on the All-Canadian team honours as an outfielder in 2005. ?Van Ostrand was Player of the Week in Week 6. Second base: Justin Randall (junior, Sarnia, Ont. ), of the Ashland Eagles. Randall earned Division II Rawlings/American Baseball Coaches Association Second Team All-America honours. ?He was selected as the Great Lakes Conference player of the year in a vote of the GLIAC coaches and North Central Region Player of the Year. Randall was also named to the North Central all-region First Team. ?Randall was 3-for-3 for Ashland scored a 7-6, extra-inning win over the Saginaw Valley State Cardinals, was 2-for-4 in a 6-1 win over Saginaw, went 3-for-4 in a 6-5 win over Saginaw and was 4-for-5, with three doubles and a stolen base. in a 16-1 romp over Saginaw and was 4-for-4 in an 8-1 win over the Wayne State Warriors. ?He had the most RBIs at the position and strangely edged out Jason Chatwood (freshman, Innisfail, Alta. ), of the Colby Trojans who did not strike out once all season, for third. ?In his first year at Ashland, Randall was the GLIAC leader in hits (97) and RBIs (65). He was second in batting average and doubles and third in total bases. ?Randall hit .416 with 20 doubles, two triples, two homers and 65 RBIs in 63 games. He was Player of the Week in Week 11. Third base: Rob Webster (senior, Langley, BC), of the Lyon Scots. Webster earned Region XI First Team honours. ?He had a pair of hits and knocked in a run as Lyon thumped Blackburn 14-0, homered and knocked in four runs in an 11-1 win over Blackburn, singled in a 3-2 win over Blackburn, was 2-for-2 with a pair of RBIs in a 19-7 romp over Blackburn, homered, singled twice and knocked in four more runs in an 11-7 victory over the Henderson State, doubled, singled and drove in a pair of runs in a 17-2 crush of Central Baptist, homered, singled and knocked in a run in a 17-6 win over Central Baptist, knocked in a run in two at-bats in a 5-2 win over Loyola-New Orleans, homered, singled and knocked in two runs in a 9-2 win over Loyola. He was Player of the Week in Week 4. Shortstop: Marcel Champagnie (freshman, Bolton, Ont. ), of the Kaskaskia Blue Devils. Champaignie was 2-for-3 with a double, triple with three RBIs in a 14-7 win over Shawnee, had two hits and drove in a pair in a 6-1 win over Mineral Area, homered, singled and knocked in two runs in a 10-3 win over Mineral Area, had three hits and knocked in a pair of runs in a 13-1 win over Central Illinois and was 2-3 with a double and three runs scored in a 13-1 win against Illinois Central. ?Champagnie hit .429 with 17 doubles, eight triples one homer and 45 RBIs. He stole 19 bases in 46 games. Outfielders: Connor Janes (junior, Vancouver, BC), of the UBC Thunderbirds: Temple Macdonald (sophomore, Charlottetown, PEI), of the Campbellsville Tigers; and Rene Tosoni (sophomore, Port Coquitlam BC), of the Chipola Indians. Janes had two hits, including a double and knocked in a run as UBC beat the Bellevue Bruins 13-11 in the AVISTA NAIA World Series. He was 4-for-4 with a double, a homer, a stolen bases and six RBIs as UBC pounded the Lubbock Christian 23-5, he doubled in a 10-6 loss to the Cumberland Bulldogs. ?Janes hit .349 with 17 doubles, two triples, 11 homers and 59 RBIs in 57 games. ? ?Macdonald earned Honorable Mention All-American Team honours. He also earned Region XI First Team honours. Macdonald had a game to remember in the Mid-South Conference tournament. With Campbellsville down 7-4 he hit a three-run homer in the eighth to tie the game. And then in the ninth, Macdonald hit a grand slam in the ninth for a 11-7 Campbellsville win in the MSC championship. He had three hits with eight RBIs. ?In his first season as a Tiger, he finished with an average of .400, which ranks tenth all-time, 11 homeruns (ranks 4th), 62 hits (10th), 15 doubles (5th), and 53 RBIs (6th). He was Player of the Week in Week 14. Tosoni was named to the all-conference Panhandle first team. ?Tosoni hit .341 with 12 doubles, two triples six homers and 46 RBIs. DH (tie): Lee Darracott (freshman, Winnipeg, Man. ), of the Vernon Chaparrals and Dale Marsden (senior, Sarnia, Ont. ), of the Saginaw Valley State Cardinals. Darracott earned North Texas Conference All-Conference Second Team Honours. ?Darracott was 3-for-3 with two doubles and a solo homer for Vernon Chaparrals in a 10-5 win over Weatherford, had four hits, as well as a double and a homer knocking in four runs in a 20-9 win over Weatherford, singled and knocked in a run in a 5-4 loss to Richland. ?He hit .364 with 12 doubles, three triples, four homers and 32 RBIs.
? ?Marsden earned Great Lakes Conference honourable mention and All-Academic honours. ?Marsden had two doubles and knocked in two runs as the Saginaw Valley State humbled the Gannon Knights 14-2, he singled in a 3-2 win over Gannon, had two hits and knocked in a run in a 16-1 win over Gannon and had two hits, including a double, in an 11-1 win over Gannon, doubled, singled and knocked in a run in a 13-7 loss to the Central Michigan Chippewas. He hit .477 with seven doubles, two triples, three homers and 18 RBIs in 18 games. Honorable Mention Left-handed starters: Chris Lemay (freshman, Winnipeg, Man. ), of the New Mexico Thunderbirds; Jason Ermers (sophomore, Welland, Ont. ), of the Burlington Barons; Jeff Tobin (senior, Pickering, Ont. ), of the UBC Thunderbirds; Mike Radanovic (senior, Surrey, BC), of the Niagara Purple Eagles; Kai Tuomi (junior, Sault Ste. Marie, Ont. ), of the Evansville Purple Aces; Drew Taylor (senior, Toronto, Ont. ), of the Michigan Wolverines; Scott Diamond (sophomore, Guelph, Ont. ), of the Binghampton Bearcats; Fraser Robinson (junior, North Gower, Ont. ), of the Northwestern State Demons. Voting (first-place votes in brackets): Schaefer (20) 265, Campbell (14) 204, Hesketh (10) 109, Lemay (7) 89, Ermers (2) 61, Tobin (3) 45, Radanovic (3) 43, Tuomi 30, Taylor (1) 24, Diamond (3) 20, Robinson (1) 17. Right-handed starters: Derek McDaid (senior, Barrie, Ont. ), of the Charlotte '49ers; Kris Dabrowiecki (sophomore, Toronto, Ont. ), of the Northeastern Huskies; Brent Zarney (junior, Winnipeg, Man. ), of the Indianapolis Greyhounds; Brad Cuthbertson (sophomore, Sherwood Park, Alta. ), of the Midland Chaparrals; RHP Josh Sawatzky (junior, Altona, Man. ), of Niagara; Mickey Campeanu (freshman, Mississauga, Ont. ), of the Chattanooga State Tigers; David Carey (sophomore, Blenheim, Ont. ), of the Kellog Bruins; Hiarali Garcia (sophomore, Windsor, Ont. ), of the Eastern Oklahoma Mountaineers; Aaron Cotter (junior, South Slocan BC), of the Arkansas Monticello Boll Weevils; Brock Kjeldgaard (sophomore, London, Ont. 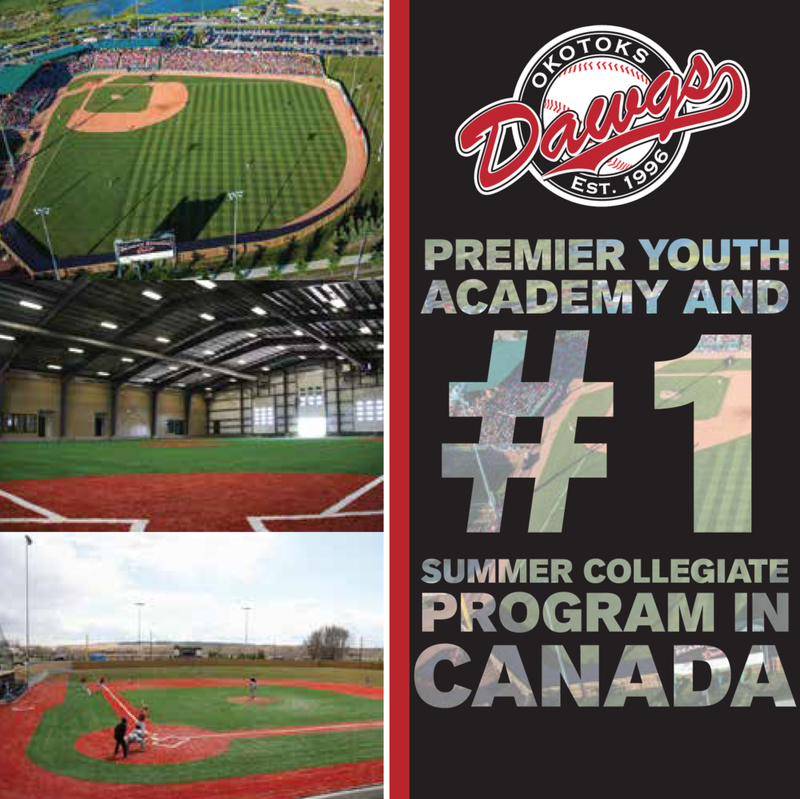 ), of the Indian Hills Falcons; Craig Talbot (senior, Victoria, BC), of the Jamestown Jimmies; Karl Mejlholm (junior, Nanaimo, BC), of the Cumberland Bulldogs; Trystan Magnuson (junior, Vancouver, BC), of the Louisville Cardinals; Jordan Tiegs (freshman, Woodstock, Ont. ), of the Sauk Valley Skyhawks; Josh Brink (freshman, Abbotsford, BC), of the Western Nevada Wildcats.
? ?Voting (first-place votes in brackets): Ottens (14) 156, Kissock (8) 115, Damchuk (6) 95, Grant (4) 95, McDaid (3) 87, Dabroweicki (6) 56, Zarney (9) 53, Cuthbertson (3) 43, Sawatsky (3) 40, Campeneau (3) 38, Carey (1) 23, Garcia (1) 23, Mejlholm 16, Cotter (1) 13, Kjeldgaard 12, Talbot (1) 13, Magnuson 11, Tiegs 9, Brink (1) 5. Relievers: ?Denver Wynn (freshman, Kamloops, BC), of the New Mexico Thunderbirds; Jeff Duda (junior, Surrey, BC), of the Lewis-Clark State Warriors; Felice Cammisuli (freshman , Newcastle, Ont. ), of the Cerro Coso Coyotes; Scott Robinson (senior, Ajax, Ont. ), of the Maine Black Bears; Andrew Albers (sophomore, North Battleford, Sask. ), of the Kentucky Wildcats; Brad Hay (junior, Stoney Creek, Ont. ), of the Lander Bearcats; Dave Morari (freshman, Saskatoon, Sask. ), of the Dickinson State Blue Hawks; John Mariotti (junior, Toronto, Ont. ), of the Coastal Carolina Chanticleers; Joey Benda (junior, West Vancouver, BC), of the UBC Thunderbirds; Chadwick Cameron (junior, Toronto, Ont. ), of the Tennessee-Martin Skyhawks; Dustin Turner (junior, St. Catharines, Ont. ), of the Arkansas-Little Rock Trojans; Matt Jones (freshman, Surrey, BC), of the New Mexico Thunderbirds. Voting (first-place votes in brackets): Nalukta (17) 229, Toneguzzi (12) 180, LaFleur (13) 170, Wynn (2) 47, Duda (3) 45, Albers (3) 37, Davis (5) 35, Cammisuli (3) 34, Robinson (3) 32, Hay (1) 22, Morari 16, Mariotti (1) 15, Benda (1) 10, Cameron 10, Turner 10, Jones (1) 5. Catchers: Nick Tillsley (sophomore, Fort Macleod, Alta. ), of the Arkansas-Monticello; Lars Davis (sophomore, Grand Prairie, Alta. ), of the Illinois Fighting Illini; Ryan Maedel (junior, Essex, Ont. ), of the Southern Wesleyan Warriors; Jeff Vickers (sophomore, Nanaimo, BC), of the Southern Idaho Eagles; Sean Hotzak (junior, North Vancouver, BC), of the Armstrong Atlantic State Pirates; Darren Meloche (senior, Edmonton, Alta. ), of the Olivet Nazerene Tigers; Rollin Matsui (junior, Thornhill, Ont.) of the Walsh Cavaliers. Voting (first-place votes in brackets): D'Aoust (17) 212, Russell (7) 155, Collins (13) 127, Tillsley (5) 94, Davis (9) 87, Maedel (5) 72, Vickers (4) 57, Hotzak (3) 39, Meloche (1) 38, Matsui 20. First basemen: Eric Wolfe (senior, Willowdale, Ont. ), of the Purdue Boilermakers; Brock Kjeldgaard (sophomore, London, Ont. ), of Indian Hills; Jason Gotwalt (sophomore, Mississauga, Ont. ), of the Salem International Tigers; Christian Winstanley (sophomore, Victoria, BC), of the Central Arizona Vaqueros; Johnny Yiu (senior, Surrey, BC), of the UBC Thunderbirds; Brian Brown (senior, Guelph, Ont. ), of the Missouri Valley Vikings; Mitch MacDonald (freshman, Regina, Sask. ), of the Monterey Peninsula Lobos. Voting (first-place votes in brackets): Atkinson (35) 313, Lennerton (10) 211, Van Ostrand (5) 104, Wolfe (3) 78, Kjeldgaard (5) 37, Gotwalt (2) 30, Winstanley (2) 30, Yiu 25, Brown (1) 18, MacDonald (1) 17. Second basemen: Jason Chatwood (freshman, Innisfail, Alta. ), of the Colby Trojans; Tyler Johnstone (senior, Brampton, Ont. ), of the Auburn Tigers; Dustin Bissonette (senior, Prince George, BC), of the LSU-Shreveport Pilots; Mark Capone (senior, Etobicoke, Ont. ), of the UBC Thunderbirds; A.J. Reed (junior, London, Ont. ), of the North Alabama Lions; ?Devon Franklin (junior, Surrey, BC), of the Wisconsin-Parkside Rangers; Daniel Rieder (junior, Chilliwack, BC), of the Texas-Arlington Mavericks; Garrett Fitzgerald, (senior, Peterborough, Ont. ), of Salem International; Brad McConnachie (junior, Ajax, Ont. ), of the Ohio Valley Fighting Scots; Tyler Belanger (senior, Sault Ste. Marie, Ont. ), of the Graceland Yellow Jackets. Voting (first-place votes in brackets): Mailloux (17) 200, Schweitzer (14) 180, Randall (10) 119, Chatwood (3) 97, Johnstone (6) 95, Bissonnette (3) 54, Capone (3) 50, Reed (1) 29, Franklin (3) 19, Rieder 19, Fitzgerald (2) 18, McConnichie (1) 16, Belanger (1) 10. Third basemen: Jeff Cowan (freshman, Scarborough, Ont. ), of the High Point Panthers; Tyler Hughes (senior, Brampton, Ont. ), of the UBC Thunderbirds; Brian Briscoe (senior, North Vancouver, BC), of the Peru State Bobcats; Nigel Andison (junior, Thetis Island, BC), of the Mayville State Comets. Voting (first-place votes in brackets): Gosse (37) 379, Van De Keere (6) 171, Webster (5) 130, Cowan (7) 81, Hughes (5) 58, Briscoe (3) 33, Adison (1) 17. 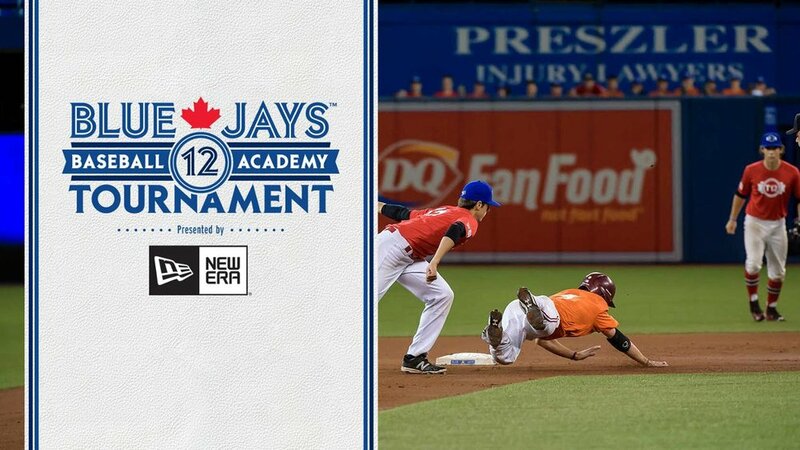 Shortstop: ?Taylor Green (sophomore, Courtenay, BC), of the Cypress Chargers; Andrew MacNevin (senior St. Catharines, PEI) of Niagara; Matt Calcagni (junior, Brampton, Ont. ), of the Graceland; Josue Peley (freshman, Montreal, Que. ), of the Seminole State Trojans; Davey Wallace (senior, Toronto, Ont. ), of the UBC Thunderbirds; Jean-Michel Rochon-Salvas (sophomore, Longueuil, Que. ), of the Georgia State Panthers; Jason Chapieski (senior, Windsor, Ont. ), of the Wayne State Warriors; Mark Charrette (sophomore, Ottawa, Ont. ), of the Shorter Hawks. Voting (first-place votes in brackets): Condotta (15) 182, Ambrose (9) 144, Cooper (14) 144, Champaignie (8) 128, Green (9) 74, MacNevin (4) 68, Calcagni (2) 66, Peley (2) 39, Wallace 30, Rochon-Salvas (1) 27, Chapieski 16, Charette (1) 11. Outfielders: Chris Head (sophomore, River Ryan, NS), of the Ulster Senators; Marc Noble (junior, Vancouver, BC), of Armstrong Atlantic; Kern Watts (junior, Brampton, Ont. ), of Evansville; Ken Fuglerud (sophomore, Lethbridge, Alta. ), of Southern Idaho; Phil Carey (freshman, London, Ont. ), of the Winthrop Eagles; Adam Campbell (senior, Surrey, BC), of the UBC Thunderbirds; Jean-Philippe LaPointe (sophomore, Montreal, Que. ), of the Bellevue Bruins; Mike Roeder (sophomore, Waterloo, Ont. ), the Kaskaskia Blue Devils; Skyler Stromsmoe (junior, Etzikom, Alta. ), of the Southern Arkansas Muleriders; Cole Armstrong (senior, Swift Current, Sask. ), of the Central Missouri Mules; Tyler Willson (junior, Surrey, BC), of the UBC Thunderbirds; Adam Kerr (junior, Brampton, Ont. ), of Graceland; Stevie Lewis (sophomore, Markham, Ont. ), of Midland; Jonathan Prevost (freshman, Vaudreuil-Dorion, Que. ), of Seminole State; Douglas Toro (sophomore, Longueuil, Que. ), of the Crowder Roughriders; Steve Baldinelli (sophomore, Niagara Falls, Ont. ), of the Mercyhurst North East Saints; Andrew Karkoulas (senior, Guelph, Ont. ), of the New York Tech Bears; Colin Moro (junior, Calgary, Alta. ), of LSU-Shreveport; Kip Keith (senior, Waterdown, Ont. ), of the Oklahoma Baptist Bison; Eric Cassidy (senior, Windsor, Ont. ), of the Concordia-Michigan Cardinals . Voting (first-place votes in brackets): Baksh (40) 378, Smith (18) 277, Boisvert (12) 173, Emanuelle (13) 173, McIlroy (13) 157, Williams (11) 140, Alati (7) 138, Janes (8) 127, Macdonald (6) 127,Tosoni (5) 95, Head (5) 86, Noble (6) 74, Watts (7) 72, Fuglerud (4) 71, Carey (2) 65, Campbell (6) 64, LaPointe (3) 57, Roeder (1) 57, Stromsmoe (1) 51, Armstrong (5) 50, Wilson (5) 37, Kerr (1) 35, Lewis (1) 33, Provost (2) 32, Toro 29, Baldinelli (2) 26, Karkoulas (2) 19, Moro (2) 19, Kieth (1) 18, Cassidy (2) 15. DH Mathieu Coulter (freshman, London, Ont. ), of the Spring Arbor Cougars; Cameron White (freshman, Grand Prarie, Alta. ), of Cerro Coso; Justin Louis (junior, Hobbema, Alta. ), of the Cal State Stanislaus Warriors; Evan Romanchuck (sophomore, Vancouver, BC), of the Arkansas Tech Wonder Boys. Voting (first-place votes in brackets): Bell-Irving (24) 283, McGraw (12) 156, Darracott (10) 125, Marsden (9) 125, Coulter (4) 84, White (5) 79, Louis 26, Romanchuck (1) 16.